Announcing our Browncoat Charity Gala for Fareshare on 8 October 2016! CSTS 2016 Shirts & Patches are available for pre-order until 1 July! 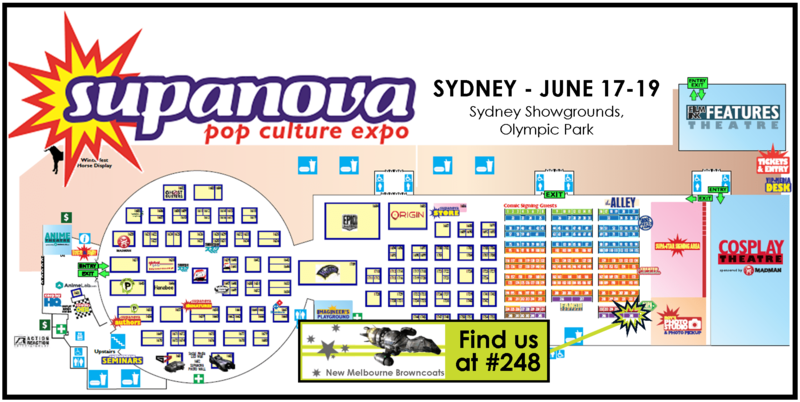 Here’s where to find us at Supanova Sydney this weekend! We’ll be there on Friday (1-8pm), Saturday (10am-6pm) and Sunday (10am-6pm). We’ve got heaps of goodies to suit all Browncoats, so make sure you stop by and help us raise much needed money for FareShare and Fitted for Work!